Mayor Rahm Emanuel is calling on families to help stop the spread of gun violence across the city. 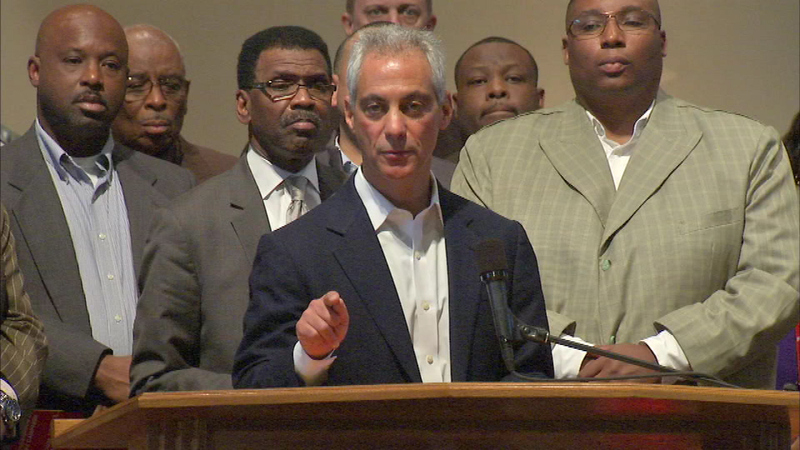 CHICAGO (WLS) -- Mayor Rahm Emanuel is calling on families to help stop the spread of gun violence across the city. "It is also the responsibility to create the fabric that brings a community together, because parents do not have a pass on the role that they have to play in raising their kids from knowing right from wrong," he said. Emanuel spoke along with faith leaders at an anti-violence press conference at the People's Church of Harvest on the city's South Side. Four people have been hurt in shootings across the city since Friday night.